NEW YORK - Four emergency workers involved in the medical response for a New York City man who died in police custody after being put in an apparent chokehold have been barred from responding to 911 calls, the Fire Department of New York said. The two EMTs and two paramedics removed from the city's emergency response system are the latest public safety workers to face reassignment as questions mount about Thursday's death of Eric Garner. Two police officers - including the one who put his arm around Garner's neck - have been put on desk duty. The medics' modified duty restrictions will remain in effect pending an investigation into their actions, fire department spokesman James Long said Sunday. Video of the arrest shot by a bystander shows one officer wrap his arm around Garner's neck as he is taken to the ground - arrested for allegedly selling untaxed, loose cigarettes - while Garner shouts, "I can't breathe!" The fire department disclosed the medics' reassignment after a second video surfaced showing at least a half-dozen police officers and emergency workers circling a man who appears to be Garner lying on the sidewalk, handcuffed and unresponsive. Long said placing the emergency workers on modified duty - which includes a notice in their state health department file that they are not to respond to medical calls - is department protocol when questions arise about a medical response and was not a reaction to the post-arrest video. The fire department said the emergency workers are employees of Richmond County Medical Center, the Staten Island hospital where Garner was taken by ambulance and pronounced dead. Authorities said the father of six likely had a heart attack, but more tests are needed to determine the exact cause and manner of his death. CBS New York reports sources say an ongoing internal police investigation indicated that a preliminary examination of Garner's body did not show damage to his trachea. Long said the fire department took action against the hospital's emergency responders because it oversees the city's 911 system, a patchwork of public and privately-operated emergency services. Earlier Sunday, the Rev. Al Sharpton demanded justice for Garner and accountability from citizens who attack police officers during an appeal from the pulpit at Manhattan's Riverside Church. 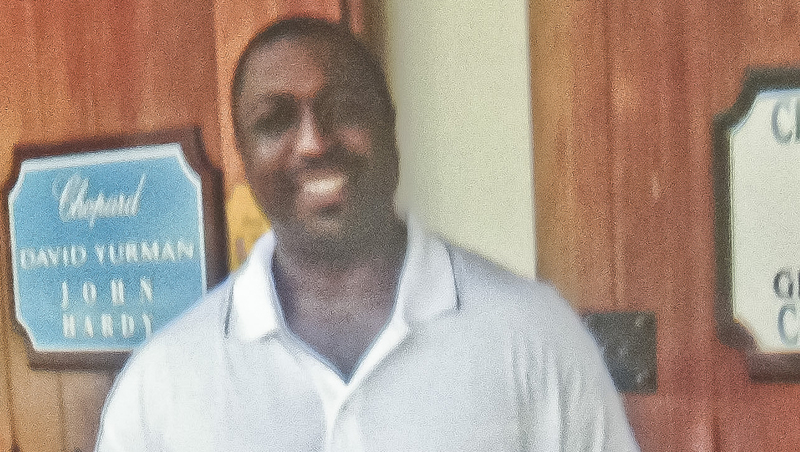 Garner was "choked by New York City policemen," the Harlem preacher told the congregation. "What bothers me is that the nation watches a man say 'I can't breathe' and the choking continues, and police surround him and none of them even say, 'Wait a minute, stop! He can't breathe!'" Garner's funeral is scheduled for Wednesday at the Bethel Baptist Church in Brooklyn. Video of Garner's struggle with police obtained by the New York Daily News shows the 6-foot-3, 350-pound man becoming irate and refusing to be handcuffed. Then, as four officers bring him down to the sidewalk, Garner, who was asthmatic, gasps, "I can't breathe! I can't breathe!" The video shows one officer using his hands to push Garner's face into the sidewalk. The second video, which appears to have been shot shortly after Garner was handcuffed, shows him lying on the sidewalk, apparently unresponsive. More than three minutes in, medics arrive and one checks his pulse. Garner is lifted onto a gurney and transported to a waiting ambulance about two minutes later. A bystander asks why no one is performing CPR and one officer responds, "because he's breathing."